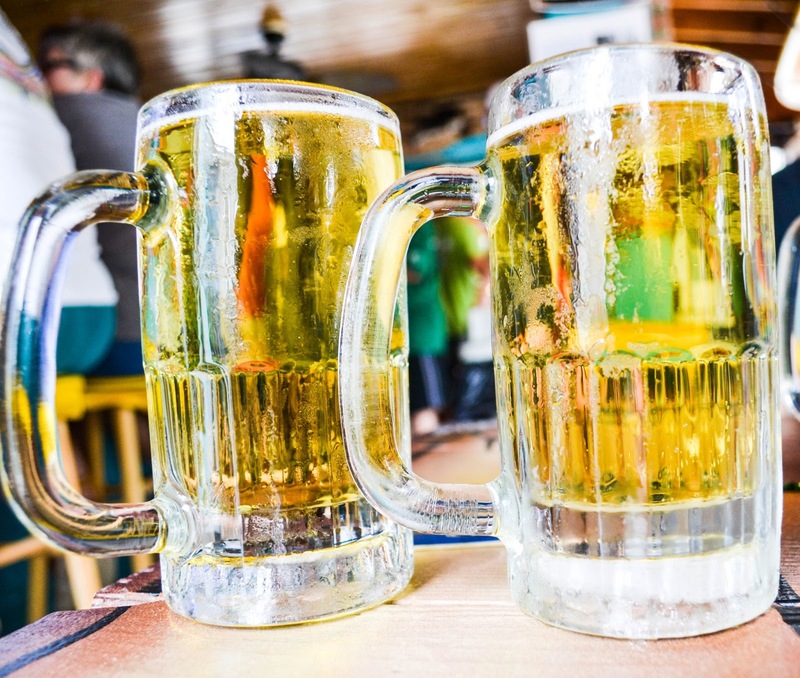 Since 1952, Skinny's Place has served locals with mouth-watering burgers and beers in frosted mugs. 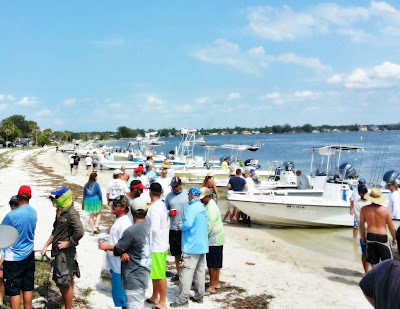 We headed down to Anna Maria Island on Friday night for the annual Sticken Pigz Redtrout Slam fishing tournament. This year there were 51 teams in the tournament. But there was only one team named the Throcksawyer Cloggers! Our Saturday started at 6:30 am and didn't end until around 1:00 am. We didn't get hardly any bites the entire day. Skinny's made up for our losses with their juicy burgers! Our Team: Captain Brian Sawyer, Ryno Lopez, the Hans-inator Arndt, and me! Skinny's is located just across the street from the Holmes Beach. It is truly an Old Florida original location. 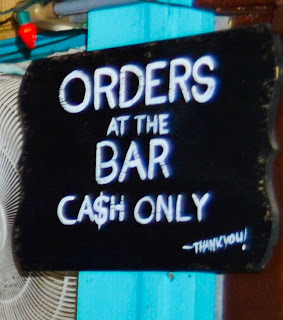 There is no air conditioning and it is cash only. But these characteristics are part of what makes Skinny's Place so unique. You can come with a big appetite since the food is inexpensive and the servings are large! "Our burgers are cooked to order medium well and made with fresh beef daily!" 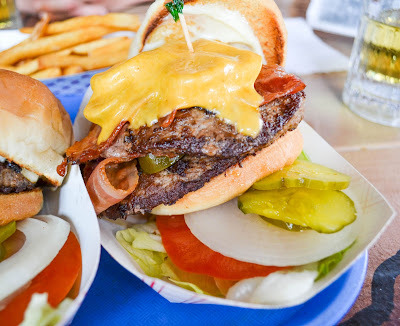 Our team ordered double cheeseburgers (with jalapenos and bacon, of course). Oh yeah and Ryno ordered a chicken sandwich on whole wheat bread with no cheese and no mayo. So if you are looking for a healthier option, Skinny's can assist you! Click here to view the menu. The beers are ALWAYS served in a frosted mug. You can also order classic bottles of your favorite Coca-Cola products for only $1.50! 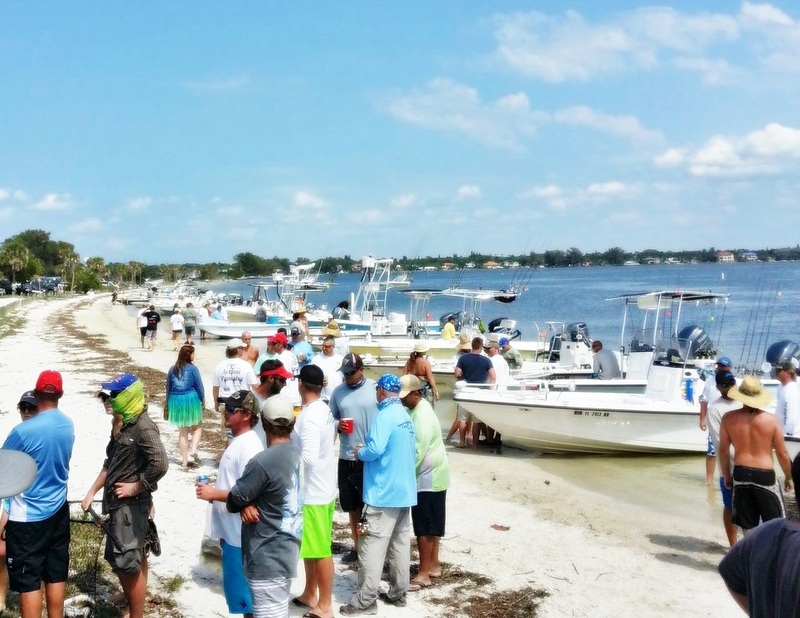 Every great Old Florida spot comes with a tale. 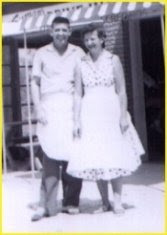 The story goes that in 1936 a young couple, Carl "Skinny" Freeman and his wife, Janice, came to Anna Maria Island on their honeymoon. They told themselves that they would return one day and own a small restaurant on the island. Sixteen years later, they returned and bought the property where Skinny's is located. It was originally named "Mid-Island Drive In". In 2001, Carl "Skinny" Freeman passed away at the age of 84. To honor him, the children and grandchildren renamed the place to "Skinny's Place". The walls are covered with the Freeman family history. Skinny's wife, Janice, is celebrating her 96th birthday this month. Maybe if you are lucky you will get to say hello to her when she visits the spot she started with her husband over 61 years ago. Look for the big green arrow on the map to find Skinny's! 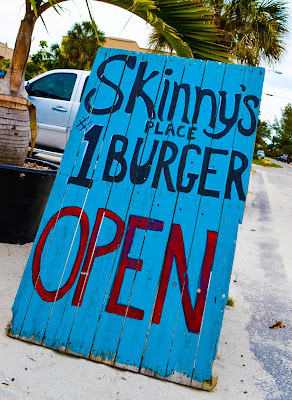 Whenever you are on Anna Maria Island, make sure you stop by Skinny's Place. Skinny's is listed on the Florida Secrets website. I've never been there yet. I'm going to have to try it! Thanks for sharing. You will! have a terrific time there! Thank you!